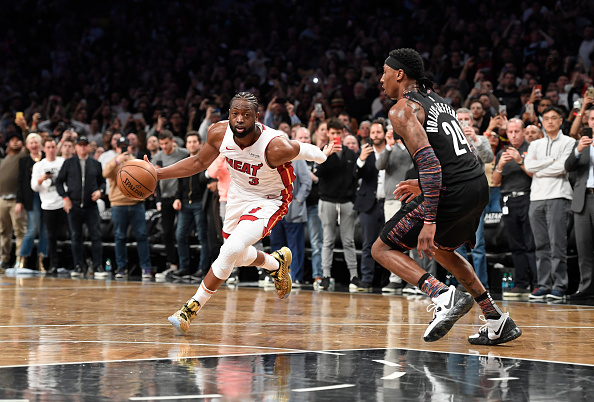 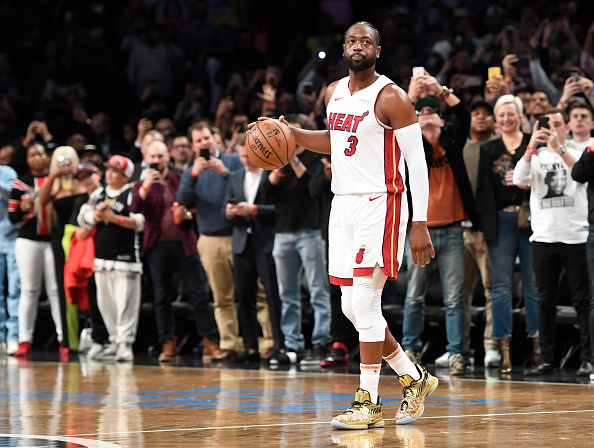 Dwyane Wade's illustrious 16-year NBA career came to an end at the Barclays Center in Brooklyn Wednesday night in front of his family and friends, including Banana Boat pals, LeBron James, Carmelo Anthony and Chris Paul. 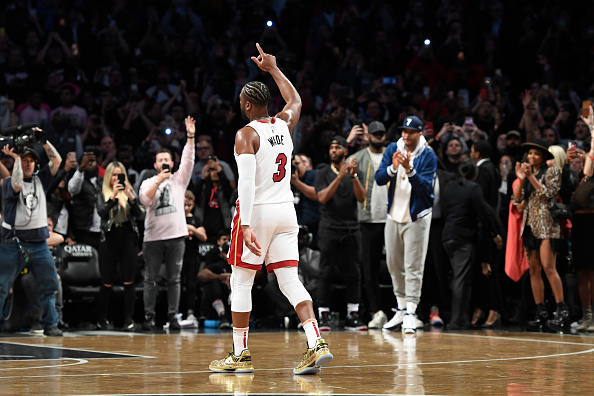 Naturally, D-Wade went out in style. 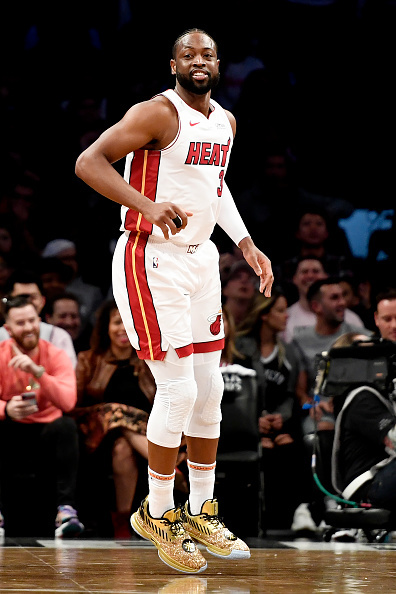 Not only did he post a triple-double in his final NBA game - he did it while wearing another exclusive, glittery Li-Ning Way of Wade 7 PE. 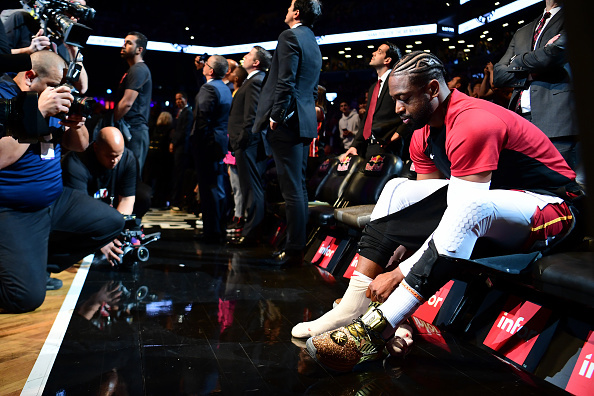 Similar to the two Way of Wade 7 PEs that Wade donned for his final home game at American Airlines Arena, the kicks come equipped with glittery, gold detailing covering a good portion of the shoe, and his #OneLastDance mantra stamped on the heel. 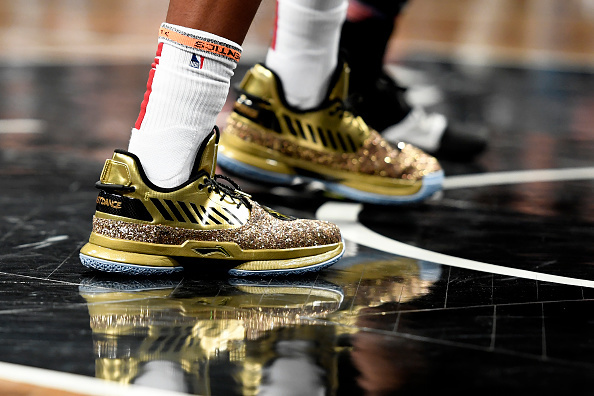 Check out some additional in-game photos of the kicks below.